BBC Children in Need has launched its 2018 fundraising campaign and is asking people across the UK to channel their passions, hobbies or dreams and Do Your Thing to help change the lives of disadvantaged children and young people across the UK ahead of the charity's 39th Appeal show on Friday 16 November. An incredible star studded line-up of famous faces have come together to support the Do Your Thing campaign, including Peter Andre, Matt Baker, Lewys Ball, Radzi Chinyanganya, Tess Daly, Stacey Dooley, Giovanna Fletcher, Rochelle Humes, Alex Jones, Mollie King, Carol Kirkwood, Ore Oduba, Niomi Smart and The Vamps. The celebrities are asking the nation to Do Your Thing and fundraise for BBC Children in Need. From rambles to knit-a-thons, three-legged races to once in a lifetime challenges, bake sales or baths of beans, everyone can channel their passions into fundraising for BBC Children in Need. Long-term friend of the charity, Peter Andre, called on the public to get involved, saying: "As a father myself I am pleased to be involved with BBC Children in Need which funds projects helping change the lives of disadvantaged children and young people. I encourage the nation to get fundraising - any money raised will go on to make such a difference." The One Show and Countryfile presenter, Matt Baker said of the campaign: "BBC Children in Need is a charity incredibly close to my heart and I once again want to ask everyone across the UK to get involved and show their support. Together we can make an impact on the lives of children and young people across the UK who really do need our help, so come on everyone, Do Your Thing for BBC Children in Need." Strictly Come Dancing's Tess Daly is also urging everyone to show their support in 2018: "I am delighted to once again be supporting BBC Children in Need, and am calling on people across the UK to get involved and show their support. I have seen first-hand the impact that money raised makes on young lives, and hope that people across the UK once again come together and Do Their Thing, to make a difference." Long-term supporter Rochelle Humes has also thrown her support behind the 2018 campaign, saying: "I have supported BBC Children in Need since I was little. I hope people up and down the UK get involved once again this year and Do Their Thing to help make a difference. From the weird and wonderful fundraisers to a simple bake sale, anything you do really will make a difference, so come on, what are you waiting for? Do Your Thing!" Also championing the 2017 campaign is The One Show presenter Alex Jones who called on people across the UK to join in: "It's that time of year again - when the good people of the UK pull out all the stops to fundraise for BBC Children in Need! Whether it's by challenging yourself with a physical challenge or putting on your best fancy dress; whatever your thing is, do it and make a difference to disadvantaged children and young people's lives right here in the UK!" 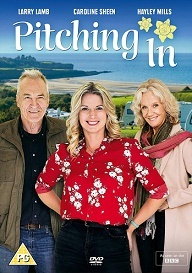 Also supporting the campaign is BBC Radio 1 presenter, Mollie King, who said: "From performing on the show, to fundraising when I was at school, BBC Children in Need has been a charity I have supported from a young age, and I am delighted to be showing my support once again this year. I hope people up and down the UK get involved and do their thing to help make a difference to children who really do need our help." Strictly Come Dancing's 2016 glitter-ball champion, Ore Oduba, encouraged the nation to get involved, saying: "Earlier this year I visited an incredible project funded by BBC Children in Need and it really did bring to life how the generosity of people from all corners of the UK goes on to change young lives. I want to call upon people up and down the UK to once again get involved and Do Their Thing, I promise you it really will make a difference." Simon Antrobus, Chief Executive at BBC Children in Need said: "Year after year we never fail to be amazed by the incredible efforts of supporters up and down the UK going above and beyond to help change young lives. Whatever you do, whether it is a day spent in fancy dress, run, cycle, bake or ramble with friends, it really will help us give children and young people the childhood they deserve." 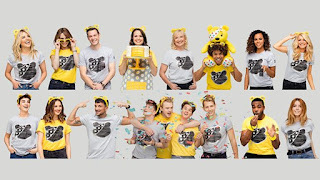 BBC Children in Need's 2018 fundraising launch follows the charity's announcement earlier this week regarding BBC Children in Need Rocks 2018, which is taking place on Wednesday 7 November 2018 at The SSE Arena, Wembley. The concert, produced by BBC Studios, will be hosted by Fearne Cotton and Clara Amfo and will see George Ezra, Jess Glynne, Nile Rodgers & CHIC, Olly Murs, Rita Ora and Sir Rod Stewart performing to thousands in the arena, and millions at home, when the show is broadcast at a later date on BBC One. Tickets for the concert are on sale now via bbc.co.uk/pudsey. BBC Children in Need's official 2018 fundraising pack is available for download now from bbc.co.uk/pudsey and is bursting with ideas to inspire Do Your Thing fundraising ahead of the 39th Appeal show on Friday 16 November. To date the Great British public has raised over £972 million for children and young people across the UK and the charity is calling on people to once again pull out all the stops and help make a difference!